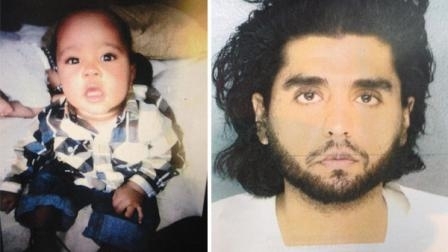 Investigators have found some forensic evidence in the search for a 7-month-old boy kidnapped from an Upper Darby home on Sunday. The boy was taken in the early hours on Sunday by the mother's boyfriend while they were visiting family. The boyfriend, Ummad Rushdi, was arrested earlier this week after telling a friend that he shook the crying baby to death and then buried him. Police were searching locations in Lancaster and York counties. The evidence was found in Columbia, Lancaster County near were Rushdi's car was found. Police are not saying what that evidence is but a search warrant indicates a car seat and shovel were found in his trunk. Rushdi lives in York, PA. He is currently being held on kidnapping charges. Police are looking for a man on a bicycle who mugged a 71-year-old woman in Rittenhouse Square on Wednesday. The entire attack was caught on video. The woman was walking home from the Farmer's Market on the 2300 block of Manning Street when the man rode up behind her, grabbed her from behind and spun her around. She began to scream. The suspect grabbed her purse containing her credit cards, phone, $65 cash, and driver's license. He then rode away back west on Manning. He is described as a black male, about 20 years old, six feet tall with a muscular build. He was wearing a bright green t-shirt and tan shorts. Anyone with information is asked to contact Philadelphia Police. Delaware State Police have issued a warning to to drivers after credit card skimming devices were discovered this morning in New Castle. The devices were found by inspectors from the Weights and Measures Section of the Delaware Department of Agriculture at the Hess Station at 506 North DuPont Highway. Skimming devices are used by thieves to swipe credit card information; sometimes they can be hard to detect. Police do not know if any information was stolen using these device. Anyone with information or if you suspect you have been a victim is asked to contact the Troop 2 Financial Crimes Unit at 302-834-2630 extension 212. Partly Cloudy, Chance of a storm, Temps around 80 this evening in Center City.